It's that time of year, and since I haven't seen a post that is dedicated to everyone's snow pics I figured I would start one. Now since the east coast just got blasted, I hope we see some nice shots. Here is a quick shot of my baby as I pulled her out of the garage on the way to school. Also showing off her new winter shoes, brand new General Altimax Arctics on 16" steelies. 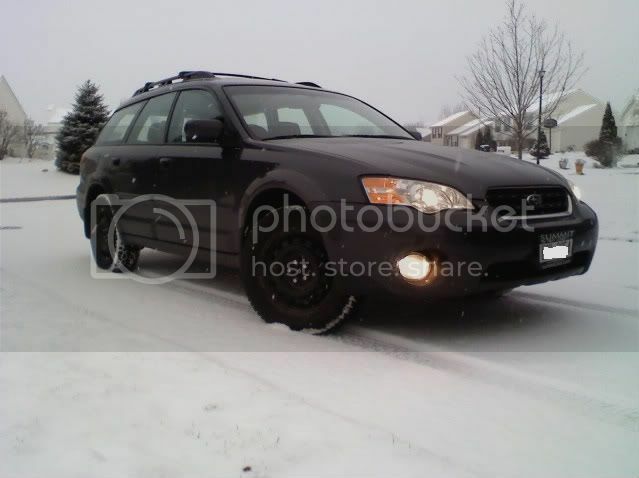 im just going to have to enjoy everyone elses pics of the subies in snow. oklahoma doesnt get **** for snow. i might be able to get get some ice shots. Heh, I live near cortland and work in east syracuse- subaru with good snows and maybe, just maybe, you have to slow to the speed limit during a big storm. 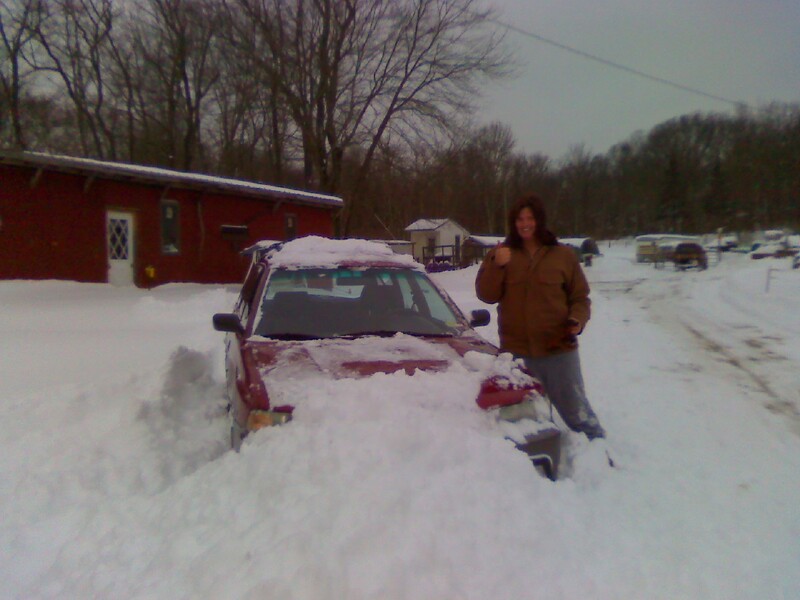 Copied from another thread, but..
We ended with just over 20 inches of the white stuff, these pictures were taken when we were around 14". Can you find the Outback? Re: Copied from another thread, but..
You own a BMW X5 also?